Before arriving at North High School, Karen Langston began her life long love for sports at Norris School and NOR Recreation and Parks District. She signed up for every sport that was available and she excelled at all. Her abilities came naturally and she had an unmatched desire and work ethic. One of her most notable accomplishments as a young athlete was setting NOR records in the 9 and under age group in the 50-yard dash and the long jump that stood until after she was out of college. In Jr. High, she was a member of the Norris School basketball team that advanced to the Southern California playoffs in 2 consecutive years, finishing 2nd and 3rd. 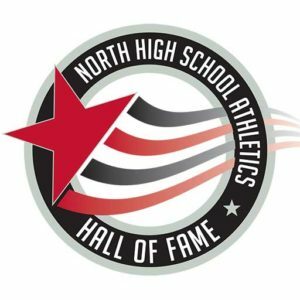 At North High, she was a 3-sport standout athlete competing in volleyball, basketball and softball. She played on 4 league championship teams, was All SYL 5 times, MVP 4 times, and was nominated for the Star Award 8 times – winning twice. As a sophomore, she was the starting short stop on the softball team and she was on the varsity basketball team that advanced to the state playoffs and faced future super star Cheryl Miller. This star shined brightest in her senior year. Langston was the first Kern County athlete to be selected to first team All-Area in 3 sports in the same year and is one of only a few to ever do so – male or female. During this year, Langston led the basketball team in scoring (5th overall in league) and assists. She was 3rd on the team in rebounds as a guard standing only 5’6”. During this year, Langston was named Jockey Club athlete of the month 3 times. She was also selected to the California All-Star basketball team. In addition to sports, she was ASB Vice President, the first female President of the Big N Club, Homecoming Princess, and was involved in 4H showing a lamb at the Kern County Fair. With a demanding schedule, Langston remained an excellent student, receiving a 4.0 in her last semester at North with a tough college prep schedule. Langston capped off a stellar high school career winning the Sam Lynn award (1984) and was a finalist for the Tyack award. She received both Norris School and North High Booster Club scholarships and the Coca Cola Scholarship for most outstanding athlete. She was awarded the Rick Holloway Scholarship and received the National Guard Scholar Athlete Award. Langston went on to become a standout volleyball player in a powerhouse program at Cal State Northridge reaching the NCAA finals 3 times, winning the National Championship in 1987. Her coach at Northridge, Walt Ker, called Langston, “one of the best athletes to ever play for me”. She was a “Jill of all trades” at CSUN, playing all but one position on the court until her senior year when she took over the reins as the starting setter. While playing at Northridge, she was conference Player of the Year and All-American. At the premier Air Force Academy Tournament, she was selected to the All-Tournament Team. However, the individual award she is most proud of was the final award she received her senior year: All-Tournament at the NCAA finals in 1988. Later, Langston went on to win a second national championship at the 1992 USVBA Open co-ed Nationals. Langston is still an impact player in the Bakersfield sports community. As the Associate Athletics Director at CSU Bakersfield, she is one of the University’s top fundraisers. Karen Langston credits her success in sports and life to her parents, Stan and Carol (both attended North High), who have always supported her unconditionally and encouraged her to shoot for the Stars.